“Sorry I was late, I was editing a video and lost track of time,” Ralph Sepe Jr. said, entering the comfortably furnished lounge on the second floor of Emerson College’s Piano Row dorm building. The video he was working on was to be uploaded to his flourishing YouTube channel, aptly named ralphthemoviemaker. An avid lover of film, the 19-year-old Long Island native has found success in the online world, but the roots of his love took hold when he was just five. Using the family camcorder, Ralph made his first film, an adaption of the VeggieTales movie Jonah about the biblical story. “It was just me in the basement with a towel on my head,” he remembered, laughing. From there, he made stop motion Lego shorts, and more fan films based on movies he enjoyed, like Inception. Starting when he was about 12 years old, young Ralph began reviewing films, as well as making them. He said that those reviews didn’t improve in quality for about five years, but when they did, people started watching, and a following began to grow. His YouTube channel, made in 2008, consists mostly of his film and TV review based videos spanning the newly released, to duds of the past. Most of his videos discern what makes films bad, (he does so through humorous dissection and interweaving relevant clips either from the film or the filmmakers to further prove his point) though his criticisms don’t strictly fall on the negative side. 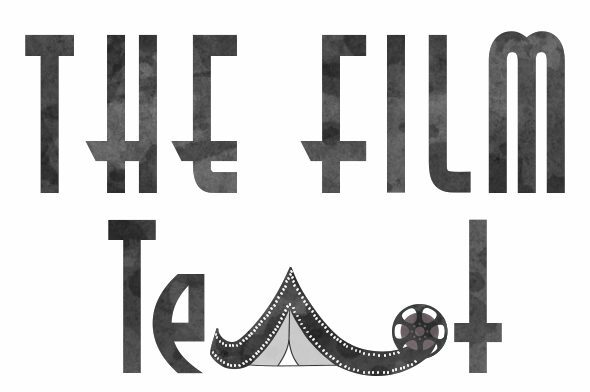 Another series he manages is called Reel It In, in which he reviews newer theatrically released films, whether they are great, decent, or bad. The living room of his dorm looks out to the Boston Common, where the golden domed Massachusetts State House can be seen in the distance. Posters line the walls, featuring films like La La Land and Fear and Loathing in Las Vegas. The bedroom he shares with another Emersonian is fitted with two beds, desks, and wardrobes. On his side of the room, Ralph’s desk is cluttered. As a sophomore dealing with the looming threat of finals, his room looks like that of a typical college student. Though, he is not a typical college student. Since entering Emerson in the fall of 2015, Ralph has worked extensively on his first feature film, Lover. It is a film that “starts out as an innocent romantic comedy, [and] evolves into something much different.” In April 2015, he launched a Kickstarter to fund the movie, which asked for $10,000. The project received its funding the following June, with the help of his YouTube fans. He shot it during his first year of college, from January 2016 through August. It was during his work on Lover that Ralph began to see his YouTube channel’s following grow to monetarily substantial proportions. “It got to the point where I could do it for a living,” he said. He decided that he needed to take time off of his film to work on his channel more. Each video he creates take an average of a month to finalize. From there, he takes another week to write his script and record his parts on camera. The following week consists of sound recording and editing, and the final week is dedicated to the finishing touches. Ralph’s brash and sardonic humor work well within his videos, because of how knowledgeable he is of the craft. He never disproportionately trashes films, because he backs up his thoughts with evidence. He cuts in short clips from the film accenting what was bad about it. Usually, though, he doesn’t need to explain why a clip was bad. Ralph also includes running jokes within his videos, like when he takes swigs from a vodka bottle filled with water while discussing very bad films (he never says that the bottle is filled with water in the videos). His humor has lent to the bolstered viewership, and he has been featured on the channel I Hate Everything, which has almost 1.3 million subscribers. With almost 18 million collective views on his channel, Ralph said that he gets recognized while out in public, and even at his school. Even though Ralph is not your typical college student, and deals with nervous fans approaching him in public, he still has his mother to keep him grounded. Wow, it was great to learn more about Ralph and how he balances school and his youtube career. Honestly this kid is going places, I hope this kickstarts his dream of becoming a great director of film!! Much appreciated, thanks a lot! This is a Turd sandwich.. His videos are mostly off point, The humor is dry except for the occasional “Im Gay” joke, he tries to be edgy and he misses most of the vital points.. Hes not a “Movie reviewer” hes a chudd who talks trash about movies. that’s it. and being 19 what real world experience would this kid have that makes a single opinion of his substantial in any case? His followers are an army of mine crafters who get to watch him curse because its not age restricted and they giggle and his counts go up… viola! youtube star. Here is ralphs 2 methods of review. 1.) Ralph gives half baked reviews on new films due to time constriction. when a movie is very popular at the moment he will most likely be the only one giving it a negative review very publicly for higher volume of views regardless of the films actual public approval. This means saying cliché things like “flat, boring, predictable” with out giving reason why. He peppers that with gay jokes and cursing. Presto! instant click bait. 2.) He goes Way back in time. Picks something old or slightly aged by popular opinion.. Proceeds to gather ALL existing facts interviews and reviews. Complies them into a script of his own words then regurgitates them and claims this is his opinion. Then peppers in gay jokes and curses.